Exciting things are happening in automobile sector with world over concern on rising pollution and governments supporting drives for cleaner fuels. 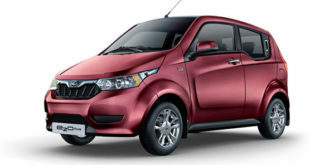 Indian government has also set a deadline to switch over to electric vehicles totally by the year 2030. The popular South Korean Car maker Hyundai has also initiated the proposal to go electrical in a phase manner. The Indian arm of Hyundai has recently announced its plan to introduce its first electric car, the Hyundai Ioniq in India market and will expand its initiatives to go 100% by the year 2030. The company’s current plans are to launch three new electric vehicles by the year 2021. The all electric Ionic car was launched by Hyundai in its home market in July, 2016 while the hybrid version was launched earlier in January 2016. The company has been receiving encouraging response from the buyers. The Hyundai Ioniq Electric is expected to be showcased at the Auto Expo 2018 and is likely to be launched in India within a year’s time. The company is expected to assemble the Ioniq electric car in India through CKD route. The car is a front wheel drive and will be 100% electric version to take advantages of the lower taxes under GST. Currently, the hybrid cars attract higher taxes at 43% under the GST regime whereas the fully electric car attracts lower taxes at 13. Accordingly, the price of the 100% electric Ioniq car is expected to be around 15-20 lakh. The electric Ioniq car will be fitted with 28.0 KWh Lithium ion Polymer Battery (LiPo) to power the electric motor on the front wheels. 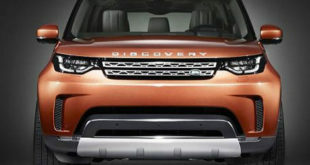 The power output of the motor will be 118 hp and 218 lb-ft torque. It is expected that the battery will deliver 180 km in one charge. The Ioniq electric car will be equipped with features like brake regeneration and users will be able to adjust the level of energy regeneration. The car will also have fast charging facility as a standard. 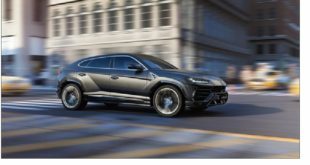 The car will use shift-by-wire technology as drive selector implying thereby that there would be no physical connection between the gear selector and the drive. 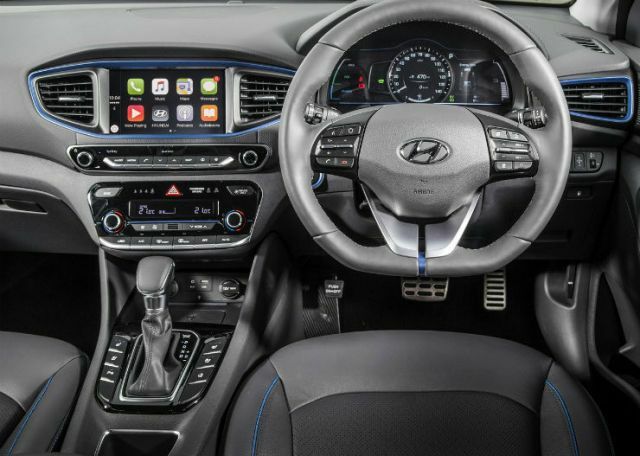 The Hyundai Ioniq electric gives a modern trendy look with a futuristic cabin features. The dashboard has a 7 inch touch screen infotainment system with Android Auto and Apple Car Play. The gear selectors are equipped with well laid push button controls. It also features automatic climate control and auto defogging function. The front seats are 6-way electrically adjustable. The boot holds as been provided with a decent 674 liters luggage space. The rear seating bench of the car is in foldable configuration which can further enhance the loading capacity. More detailed specifications of the Hyundai Ionic electric car are expected to be available around the India Auto Expo to be held at Greater, Noida, near Delhi in February 2018. 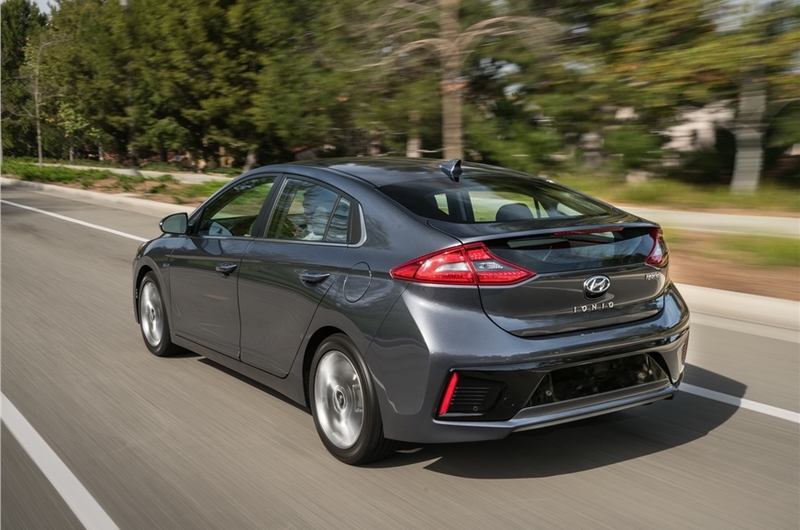 Though the Hyundai Ioniq electric car is already sold in the home market of Hyundai, South Korea as well as US, it is hope that the company will not compromise on basic safety features of the car while launching in India. Also, it is expected that the India launch will be aimed in creating an exciting market space in India keeping in view of the fact that other car makers like Maruti Suzuki, Mahindra and Mahindra are also jumping to meet the targets highlighted by Indian government to go electrical.